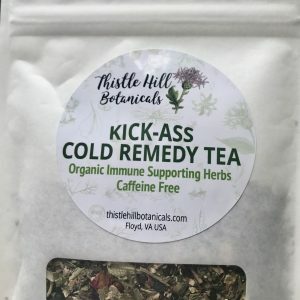 Shop / Teas & Tonics / Elderberry Tonic Blend to Make Yourself! It’s EASY! Thistle Hill has blended a lot of goodness into our tried and true Elderberry Tonic Blend! By popular demand it is back. It is easy to make yourself, just follow the instructions. For a more powerful “local” formula just add local honey to the tonic. It tastes great, especially with the honey. Here are some of the benefits that Elderberries are believed to help. Our formula contains Elderberries, Ginger, Orange Peel, Cinnamon and Cloves Please boil and simmer as per the instructions on the back. The full benefits will not be realized if prepared as a tea. Please check with your doctor before using if you have a heart condition or are pregnant. Made in Floyd in the Mountains of Virginia where the air and water is pure and there are more cows than people. 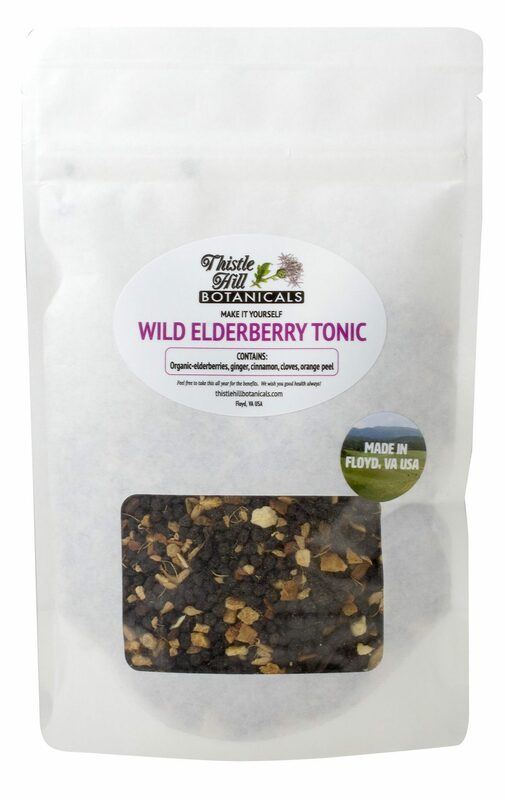 1 review for Elderberry Tonic Blend to Make Yourself! It’s EASY! The best way to do elderberry syrup is to make your own, and Rhonda’s mix makes that easy! Just follow the directions, and adding local honey makes it taste even better and better for you! !